Arthur Charles Lionel Abrahams was the only son of Sir Lionel Abrahams, K.C.B. and his wife Lucy. He was admitted to the school as a non-resident King’s Scholar in 1911 and was based in Grant’s House. Arthur was Jewish, and his faith may have led him to become an honorary scholar, rather than residing in College. Arthur was also heavily involved in the Officer Training Corps, where he made a ‘very efficient sergeant’. 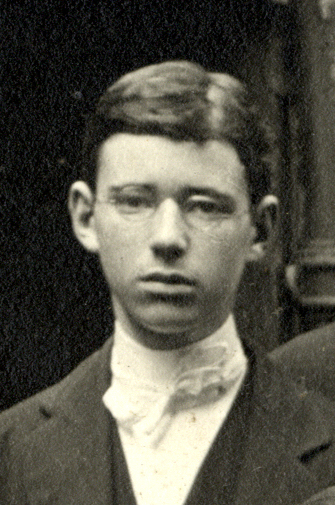 On leaving school in July 1916 he was elected to Christ Church, Oxford. However, he chose to join the war and took a commission as a 2nd Lieutenant in the Cold Stream Guards later that summer. He went out to the western front in February 1917 and joined the 3rd Battalion of his regiment there. He was promoted to the rank of Lieutenant in December and was killed in action the following year on 13th April 1918.